The Town Foundation is driven by a passionate team of contracted and casual staff. You can find more information about them here. As the Head of Business Support, Nikki assists in the management of our charity’s governance. Nikki has previously worked in the non-profit, public and commercial arenas and therefore brings a range of experience to her position. 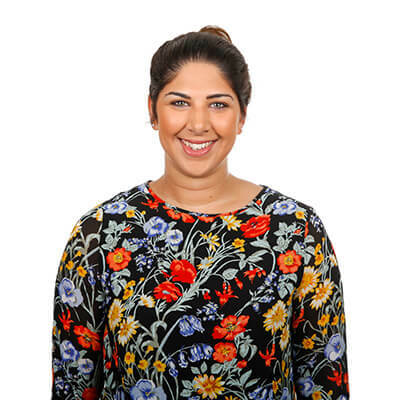 Abbi joined the Foundation in 2017 and leads the inclusion and health areas of work and all its programme delivery. Abbi is responsible for the Disability, Youth Engagement and Female Participation, Adult and Young People health programmes, working in partnership with local organisations to develop bespoke inclusion and health projects, bid writing and is Huddersfield Town Foundation’s dedicated Equality Officer. Abbi studied her degree and master’s in Sport, Culture, Society and Community Development at Sheffield Hallam University and has brought over 10 years of knowledge and experience from a range of sport development background including the County Sports Partnership, NGB’s, local authority, leisure trusts, universities and charities. 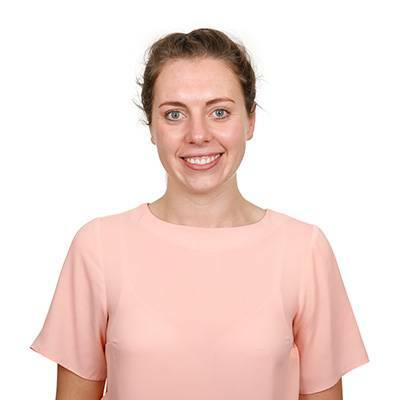 Katie joined the Foundation in September 2017 as a qualified PE teacher with experience in both Primary and Secondary schools. 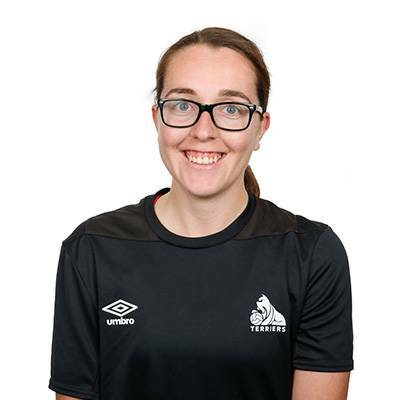 As part of the Foundation, Katie now oversees PL Primary Stars; Steps to Success; PL Enterprise Challenge; the Foundations partnership with Kirklees College, including the Kirklees College Town Foundation, Football Academy; and supports the development of our apprentices. Katie is also the designated safeguarding lead for the Foundation. As one of the longest serving members of the Town Foundation Team, Julie oversees all day to day operations, fundraising events and continues to grow our highly successful Breakfast Clubs. Julie is passionate about her work and will always go the extra mile to ensure that the charity runs efficiently and continues to make a significant difference within the local community. Adam joined as an apprentice for Huddersfield Town Football in the Community in 2011. 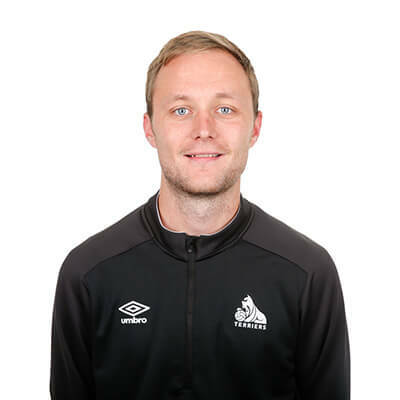 Upon completion of his two year apprenticeship, he was employed as a Casual Coach and went on to become a full-time Coach working in numerous schools and venues across Kirklees. 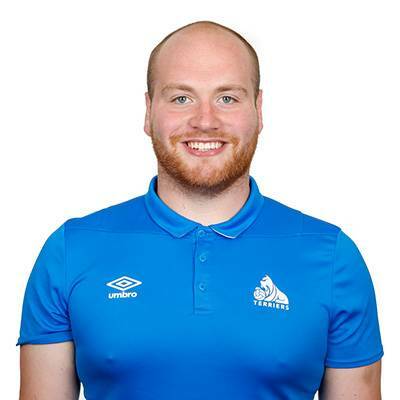 In January 2018, Adam was appointed as the Primary Stars Coordinator for the Huddersfield Town Foundation where his delivery now focuses on educational interventions and supporting teachers to increase confidence in their PE delivery. Adam has recently joined the Foundation having previously worked for the Leeds Rhinos Foundation. Adam is responsible for developing and implementing our Steps to Success programme in secondary schools. 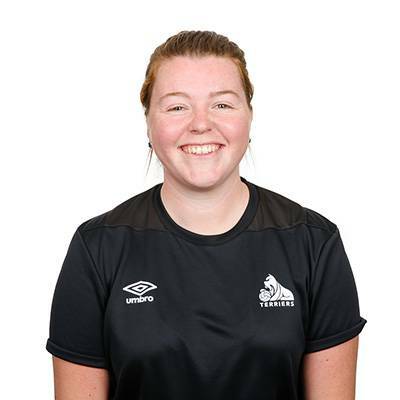 Ashley is the Huddersfield Town Ladies First Team Manager as well as heading up the Kirklees College, Huddersfield Town Foundation Football Academy women’s team. Ashley is qualified to UEFA B standard. 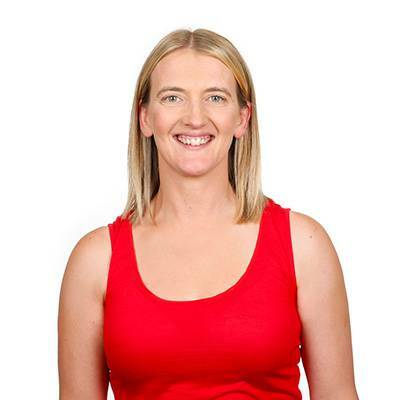 Ruby is, in the truest sense, a Foundation Coach who leads predominantly on female sessions. 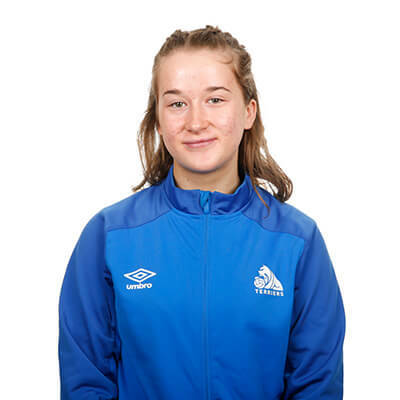 Ruby coaches the Kirklees College, Huddersfield Town Foundation Football Academy women’s team alongside Ashley Vickers and is qualified to FA Level 2 standard. 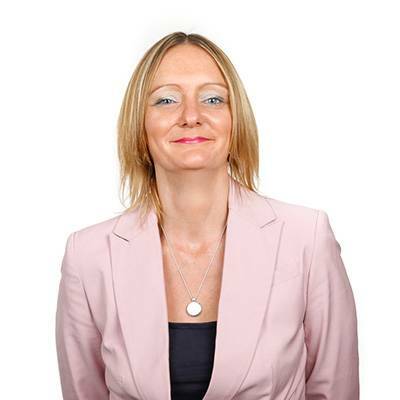 Ana is passionate about creating inclusive opportunities for people in the Kirklees area. Ana graduated from Leeds Beckett University with a degree in Health-Related Exercise and Fitness. After University, Ana worked in health-related roles, and she now leads The Huddersfield Town Foundation’s EmployAbility project, which aims to create opportunities for people with disabilities to increase leadership, independence and employability. Ana is also a member of the Huddersfield Town Football Club equality working group. Isaac is an ambassador for disability sport and aims to increase level-appropriate opportunities for people with disabilities. 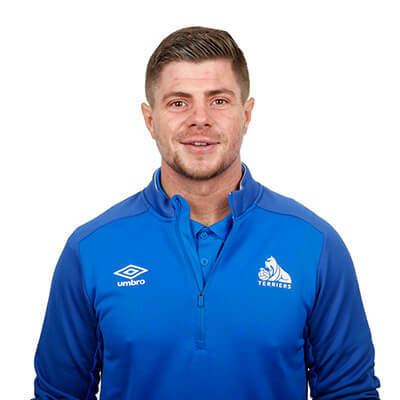 Prior to joining The Huddersfield Town Foundation as the Disability Coordinator, he has been actively involved in a range of disability sports coaching positions. Isaac’s role encourages children and adults with disabilities to take part in sports and physical activity across Kirklees at both a recreational and competitive level. 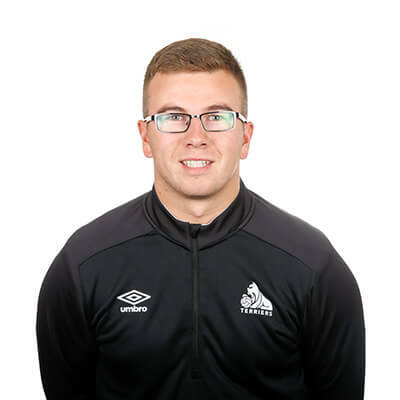 After graduating from university, Alfie became a Foundation Coach where he delivered in schools and soccer camps, including a seven week trip to China. 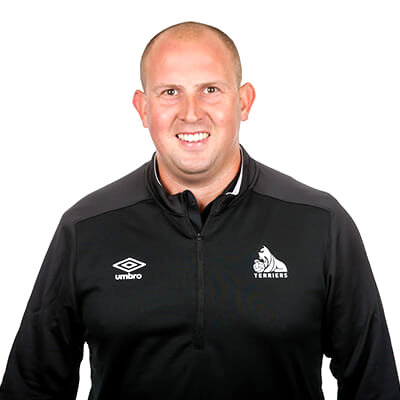 In January 2018 Alfie was appointed to lead on youth engagement, which primarily includes the Premier League Kicks programme and bespoke youth engagement projects. Through providing a range of opportunities for young people across Kirklees, Alfie has become a mentor to many young people in the surrounding communities of HTAFC. In this role he provides support to remove negative labels and to create a pathway for success. 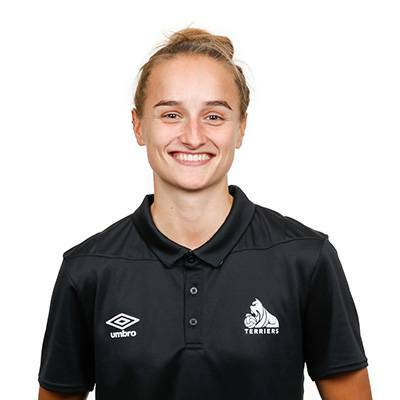 Poppy joined the Foundation team in January 2018 to lead the female participation programmes, which include: Premier League Girls Football, SSE Wildcats and The Huddersfield Town Foundation Player Development Centre (PDC). 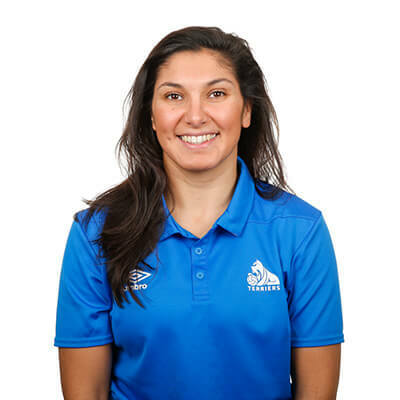 Poppy graduated from Liverpool John Moores University with a BA Hons degree in Sports Coaching Development and has brought a range of experience from working with other community foundations including Reds in the Community and Liverpool Foundation, enabling our female participation programmes to flourish. Mo joined the Foundation team in April 2018 as a Kicks Coach and prior to this Mo was a Casual Coach with the Foundation, delivering sessions for young people aged five and upwards in school and community settings. Mo has experience of working for professional football clubs such as Southampton FC Foundation, where he also delivered primarily on the Kicks programme. Omar joined the Huddersfield Town Foundation team in June 2018 as a volunteer for the Premier League Kicks programme, then progressed as a coach and joined the Kicks programme coaching staff delivering sessions for young people. In the Kicks coaching role Omar supports young people to progress into positive pathways. Omar started out as a grassroots football coach in the local community and really appreciates the opportunity to join Huddersfield Town Foundation and is excited for the future. Josh is a Level 2 qualified coach and one of our longest serving coaches. Josh delivers on all aspects of the Foundation’s Sports activity, ensuring that every child who attends has fun and learns new skills. Rick has worked for Huddersfield Town for 14 years. Throughout his time at the Club, Rick has delivered on a number of different projects including school-based provision and sport in the community. In his capacity as Coach Coordinator, Rick oversees the development of the workforce, provides opportunities for work experience and placements as well as continuing to implement the Foundations Sports provision. Matthew is a Level 2 qualified coach who is currently working towards his UEFA B qualification. 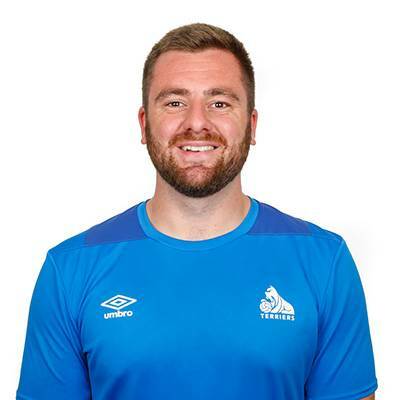 Due to his desire to work with elite performers, Matt has taken a lead on our Tomorrow’s Terriers programme where he is developing a football pathway for young people in Kirklees. After 16 years of working in the Football Club’s Hospitality and Sponsorship Department, Lisa moved over to the Town Foundation. She brought with her a wealth of knowledge and experience and now provides valuable support to the Head of Trust Fund, ensuring that our ‘One Club One Community’ ethos is reinforced. Tom ensures that thousands of children receive a healthy, tasty and free breakfast each and every school day. He has won the hearts of our ‘Early Kick-Off Club’ Schools with his sunny disposition and caring nature. He also has an army of young volunteers who eagerly await his arrival on breakfast delivery day. 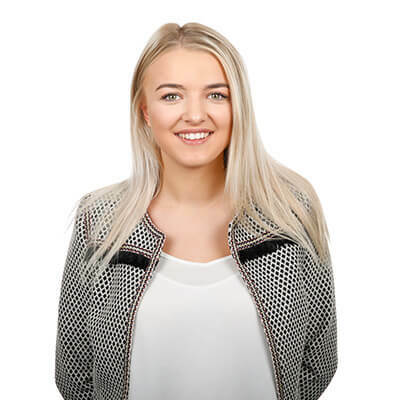 A valuable member of the Trust Fund Team, Charlotte provides administrative support within the Foundation and works part-time while studying at Leeds Trinity University. One of her primary roles is to update our social media channels, ensuring that all supporters are aware of the great work we are delivering within the community. Katie is the youngest member of our team, having just completed high school. Katie will continue her education by studying towards a Level 2 in Activity Leadership delivered jointly with our partners, Kirklees College. 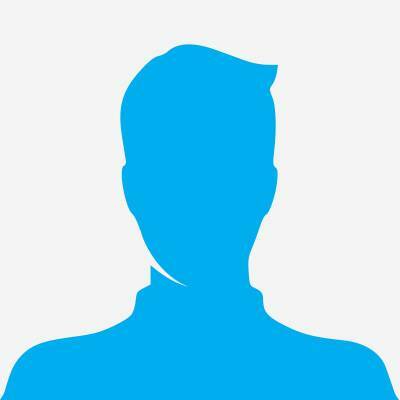 Claytan first came to the Foundation on work placement through Kirklees College. Once his placement had ended, Claytan continued to support Foundation projects in a voluntary capacity. Claytan will study towards a Level 2 apprenticeship in Activity Leadership delivered jointly with our partners, Kirklees College. 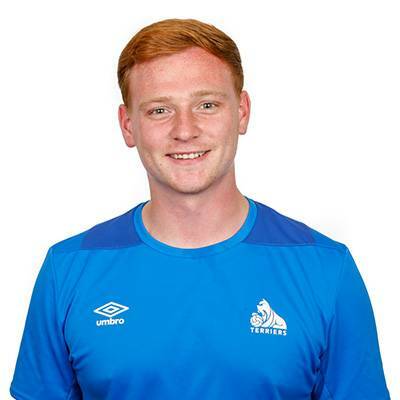 Tom completed his studies with Kirklees College where he was part of the Huddersfield Town Foundation, Kirklees College Football Academy. Toms’ apprenticeship is a Level 2 in Activity Leadership delivered jointly wih our partners, Kirklees College. Chris joined the Foundation in March 2018 as a volunteer on the Premier League Kicks programme. He quickly impressed with his enthusiasm and commitment and was supported to achieve his FA Level 1 football coaching qualification. Chris’ apprenticeship is a Level 2 in Activity Leadership delivered jointly with our partners, Kirklees College.